Save on your Interstate move! Don’t know the ZIP? Look it up here. Moving Soon? Wheaton will help you transition to your new home. Household moving services you can trust and competitive prices you will appreciate. We offer a variety of moving services so you can choose the solutions that best match your needs. Full Service Packing / Unpacking – Packing can be a chore, so why not have Wheaton do it for you? Our full-service packing, crating and unpacking services mean you don’t need to lift a finger. This option ensures your belongings are packed by experienced moving professionals – plus it offers additional protection for your possessions. Expert Packing for Fragile or Large Items – Maybe you want to pack most of your stuff but you’re concerned about an especially large or fragile item. No problem! We can safely pack specific items for you and we even have special cartons for fragile and delicate items. Electronics – Sensitive electronics travel best when packed by a professional. Consider letting us pack items like flat screen TVs, laptops, tablets, computers and game consoles for peace of mind. Storage – There are many situations when customers may need storage services before, during or after a move. We offer a wide variety of storage services to fit every situation and every need. Storage in Transit – We will store your possessions in a safe and secure facility for up to 180 days. When your new home is ready for your belongings, we’ll deliver them in pristine condition. Long and Short Term Storage – You pick how long you need to have Wheaton store your items. Simply schedule delivery when you’re ready and you will receive your belongings when and where you need them. Protecting Your Move – When you work with Wheaton, you’ll be working with a team that is dedicated to ensuring the safe arrival of your belongings to their destination. Free limited liability coverage that is automatic for every move. This option reimburses your items at 60 cents per pound, per item. Full Replacement Value Protection can be purchased based on the declared shipment value and deductible. This option repairs any damaged goods or offers compensation for items that are unable to be repaired. For those who like to pack on their own, we offer high quality packing materials, and will share free advice and tips to help you get the job done right. Wheaton offers only the finest packing materials to give you additional security in the knowledge that you’ve hired the best team with the best tools for your move. Many customers purchase our tape, newsprint, bubblewrap and marking pens to help make preparing for their move easier. In addition to typical small, medium and large boxes, Wheaton agents also offer a variety of cartons that make packing much easier. You might expect the moving process to be difficult and tiresome, but since 1945 we have been helping families and companies just like you. Our processes provide you with the most efficient move possible. We are dedicated to being at your side every step of the way and making your move go as smooth as possible. Here are a few things you can expect during the moving process. 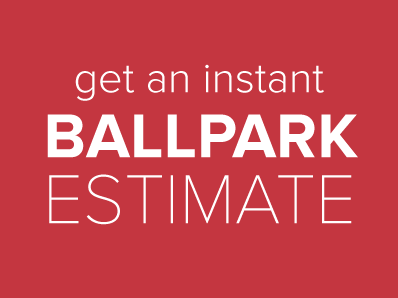 Start with a plan – get a free in-home estimate and decide which moving service fits your budget. Talk with your local agent – your local agent is your point of contact for your move. Chat with them about any questions or concerns. Pack it up – Wheaton can pack all or part of your belongings – or you can pack items yourself. If you do the packing, be sure to take a look at our packing guides. Into the truck – your driver and his crew will prepare your home for loading and they’ll move everything so you won’t need to lift a finger. Plan to hang out on loading day to sign documents and provide directions to the driver. Getting from A to B – Your driver will let you know the estimated arrival time two days in advance. Stay in touch with your move manager or local agent for progress reports. Delivery day – Plan to arrive early to meet the driver and crew. Payment is due prior to unloading. During unloading, you’ll have time to inspect your belongings to make sure there’s no damage or missing items. Out of the box – We can assist with unpacking or you can do it yourself. We are also happy to recycle your moving boxes and cartons. How did we do? – We love happy customers and we’re always looking for ways to improve our services. You will receive a survey once your move is complete so you can tell us how we did. Hiring a moving company you can trust to transport your belongings is an important decision. We know you’ll love working with Wheaton, but don’t just take our word for it – check out our customer reviews. Call 1-877-675-3856 now and find out how to save on your interstate move.